10x24x1 Quik-Kleen Washable Aluminum Foam Air Filters | Air Filters, Inc.
Filter Clean Filter Spray 32 OZ. 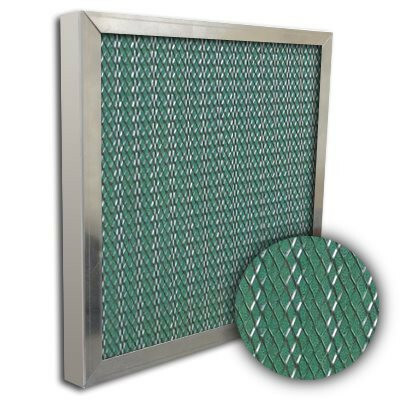 Air Filters, Inc.™ Quik-Kleen™ Aluminum Mesh w/Perma Foam filter is built to withstand occasional and moderate cleanings between service periods. Quik-Kleen™ Aluminum Mesh w/Perma Foam filters can be cleaned by flushing with a hose or washing in warm soapy water. Allow filter to dry, then re-install. With proper care and handling metal filters can provide years of dependable service. It is designed for use in residential, commercial, and industrial applications to filter air. Quik-Kleen™ Aluminum Mesh w/Perma Foam filters have been used effectively in applications such as room air conditioners, furnaces, central air conditioning, rooftop units, and more. The media consists of multiple layers of pleated and flat aluminum screen wire to provide an intricate maze of dirt catching surfaces. Multiple layers of media offer maximum filter surface area. Heavy gauge expanded metal grids on both sides protect the media and rigidity of the filter construction. Deep pleated foam panel filters are a permanent washable air filter with low resistance. 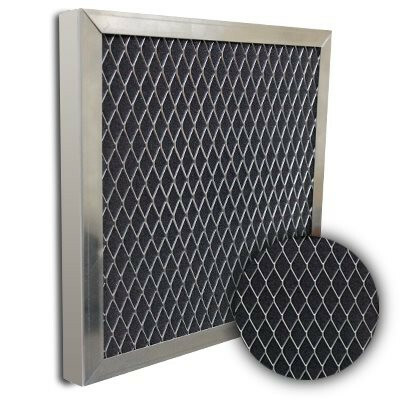 Filters are designed for use in air conditioning equipment, furnaces, electronic cabinets, computer systems and small equipment where smaller particles of dust and dirt are needed to be captured from the air. The ideal solution to upgrade from aluminum washable filters or disposable flat panel filters. Since the filter is pleated, there is 70% more filter area than a non-pleated style panel filter providing long life, large dust holding capacity and low pressure drop. All Standard Air Filters, Inc.™ Quik-Kleen™ Aluminum Mesh w/Perma Foam filters are bonded, progressive-density media is comprised of 40 PPI polyurethane filter foam 1/8” thickness. Material is non-toxic, non-allergenic with a green coloring pleated between two layers of black epoxy coated aluminum screen. Media must stick past screen on each side to make compression seal. The standard size filter uses a .020" thick aluminum frame to enclose the filter media while the special size filter uses a .030" thick aluminum frame. The corners are mitered, and the frame is secured with pop rivet (s). 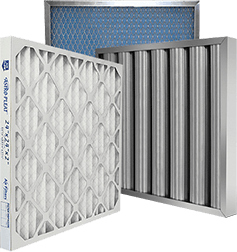 To gain top efficiency from your Air Filters, Inc.™ Quik-Kleen™ air filter simply dust off excess dirt, flush under hot water, allow to dry and replace. A mild detergent can be used if required. However do not use oils, adhesives, house hold cleaners, industrial cleaners or alkali solutions as this will damage the filter.